The Summer Edition of ON PATROL Magazine is now available online and one of our favorite articles is the Poet’s Corner, which begins on page 60 of the digital and print editions. 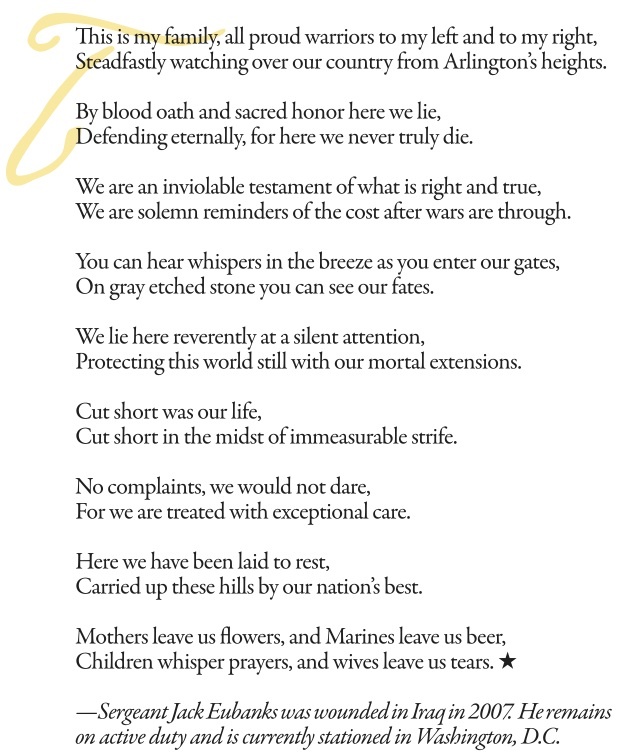 We’d like to share with you one of the poems - “Brothers and Sisters” - penned by Sergeant Jack Eubanks, USMC. We hope you’ll take the time to read the rest of the magazine, and if you’re interested in home delivery of an annual subscription, please call 1-888-966-7287.